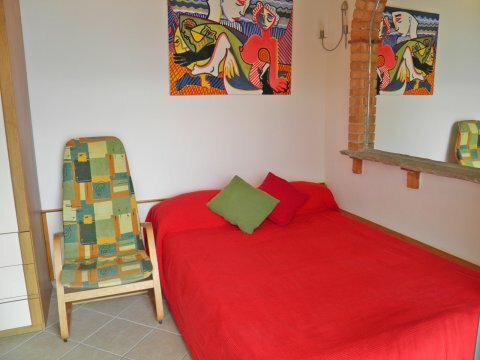 This sunny apartment above Gravedona is located in the vineyard farmstead Casa Rina, Asti has a partially covered terrace from which you have stunning panoramic views of the lake, mountains and pool. 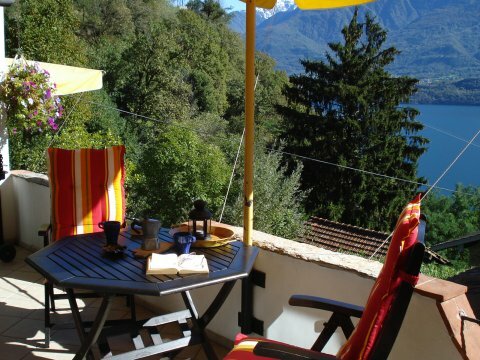 All rooms are facing the lake, from the sleeping area and kitchen, you have access to the terrace. 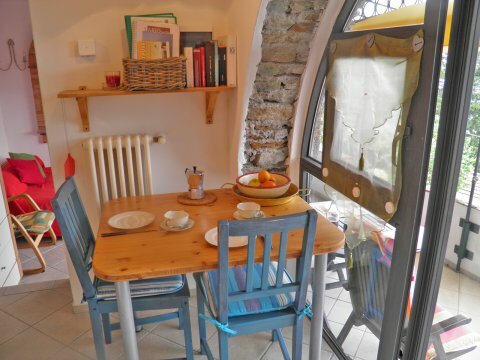 From the kitchen with dining area you enter the sleeping area with its french style double bed (width 1.40) bed and satellite TV. 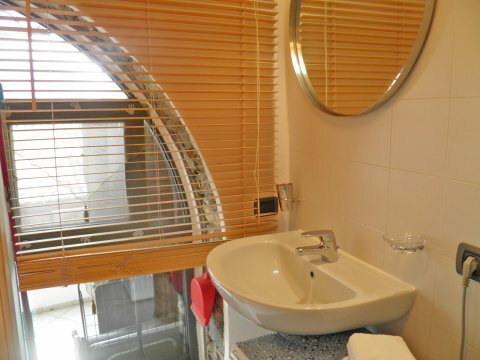 The bathroom has a shower, sink, toilet and washing machine. The apartment has modern facilities with condominium comfort: satellite TV, washing machine, iron, electric stove, refrigerator with freezer, coffee machine, toaster and WIFI Internet connection. The vineyard homestead is distinguished by its particularly warm and sunny position and can be used as a year round domicile as it has central heating. Firewood can be purchased at cost price. 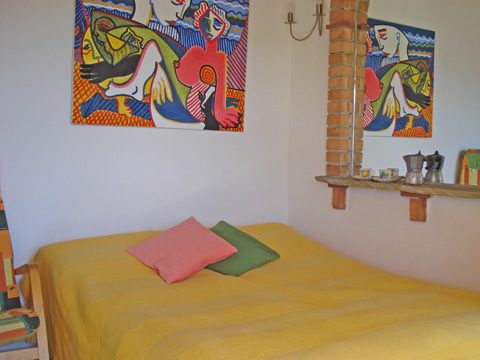 The fascinating location of Casa Rina inspires you to take walks, hikes or bike tours, directly from the property. 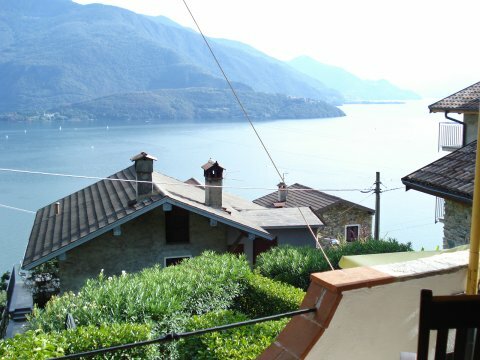 From the lakeside located large living terrace you enjoy a beautiful view of Lake Como and the mountains. 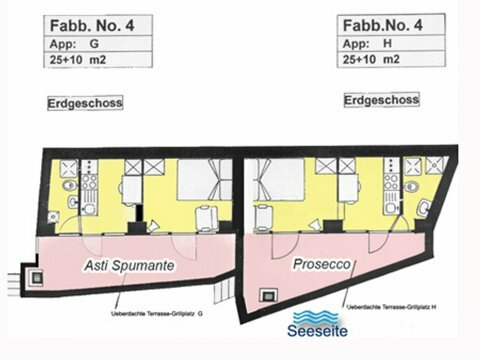 The apartments Asti and Prosecco, can be connected by the patio door to make a larger residential unit, eg. for a small family or two couples. A table tennis table and board games can be found in the tavern in the main building. 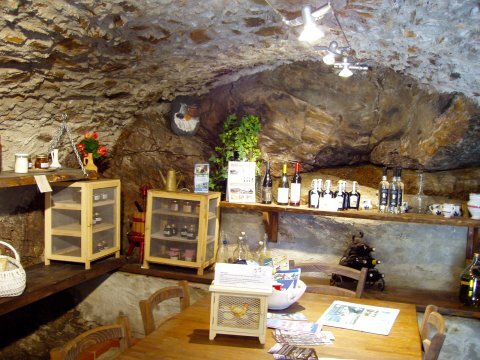 In the traditional "Cantina" house wine and specialties from the area can be found and on request, the local baker will bring fresh bread to the house in the morning. 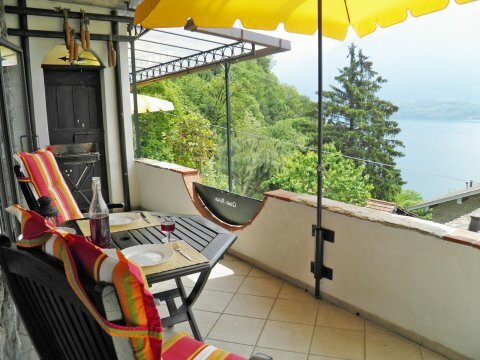 The general relaxation area with breathtaking lake view has also a lovely pool [7 x 3.5m], sun terrace with sun loungers, patio, barbecue and pizza oven and an herb garden. The gold fish pond, the guinea pigs, dwarf rabbits and chickens are for our younger guests to enjoy. Mobile, without the car - a footpath will bring you to Gravedona in about 15 - 20 mins. where you will find the beautiful lakeside promenade with numerous shops and attractive restaurants, bars and cafes. By car you reach Gravedona in 3 - 4 minutes. From the boat dock you have links to other interesting places around the lake. Parking - there is enough parking available above the property. 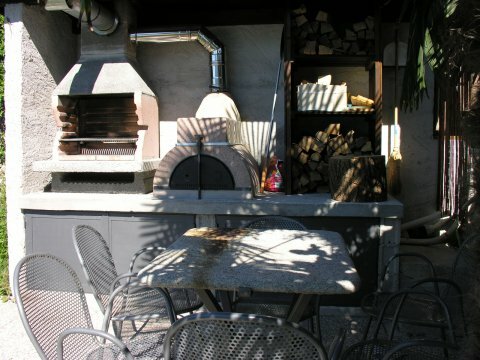 The vineyard farmhouse Casa Rina dates from 1724 and consists of four buildings with eight individual apartments, it has been partially restored in the original style. 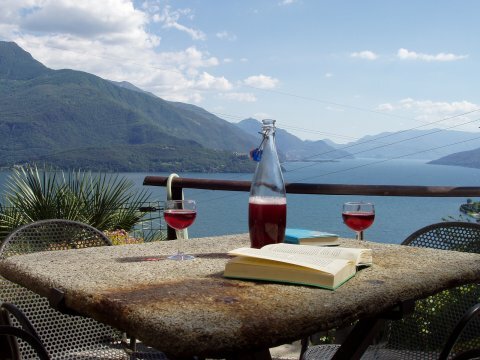 The property is located at about 200mtr above the lake on a sunny terrace amid vineyards and stone houses (rustico) in the Lombardy style. In the neighbourhood there is a small waterfall. 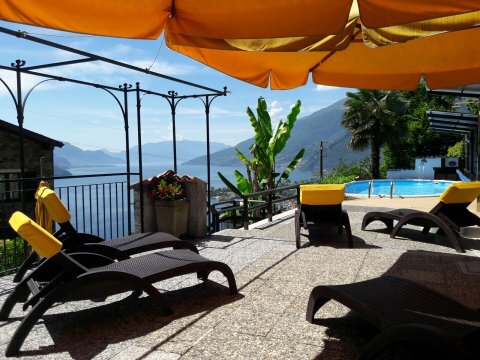 This special, quiet location with it's Riviera-like climate offers a fantastic panoramic view well into the southern part of Lake Como. 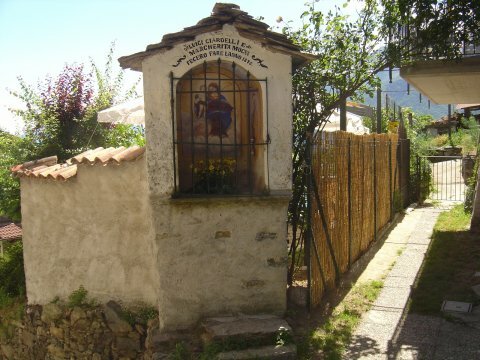 The former landowners have built a Madonna Chapel, which has been preserved in its original condition.